Diversity has been on my mind lately, and that's not going to stop. My staff and I have made it part of our departmental goals to include diverse material in our programming, including our many booktalks to school groups. It has been a challenge finding diverse chapter books to include for our younger patrons, but my staff and I have made a special effort to seek them out. Recently, a writer on Book Riot asked "What do I read to my 3-year-old that isn't just straight white people?" It's a legitimate question and one that I definitely was asking last year as I was starting third grade booktalks for the first time. Over the past year, my staff and I have come up with a list of diverse early chapter books, which I would like to share with you today! I know there are series and titles that I'm missing and I would LOVE for you to add your suggestions in the comments!! 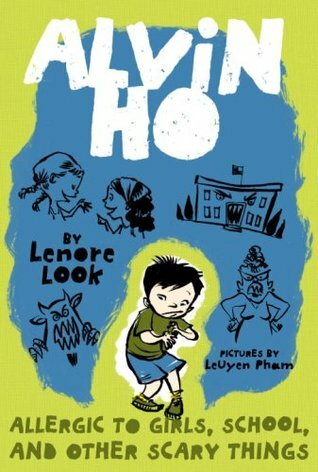 Alvin Ho: Allergic to Girls, School, and Other Scary Things by Lenore Look (and sequels). Alvin Ho is sure that he has what it takes to be a hero - he comes from a long line of Chinese farmer-warriors, after all - but first he'll have to conquer his fear of, well, everything. 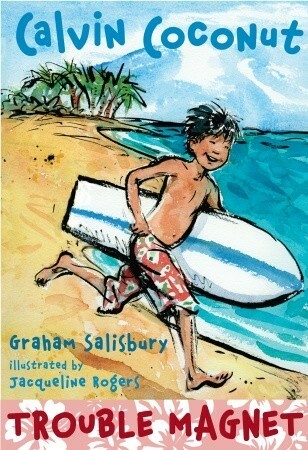 Calvin Coconut: Trouble Magnet by Graham Salisbury (and sequels). Calvin doesn't go looking for trouble, but somehow trouble always finds him, including a run-in with the school bully on the very first day of fourth grade. 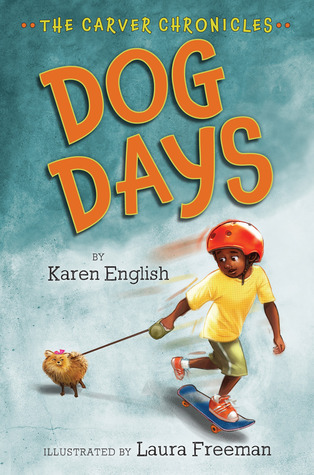 Dog Days by Karen English (The Carver Chronicles series). When Gavin accidentally breaks his sister's snow-globe, he has to earn the money to pay her back by walking dogs. 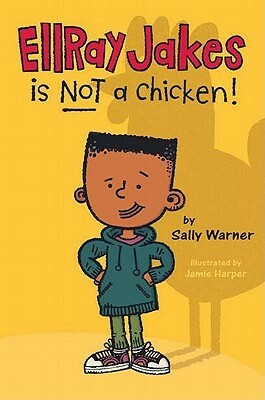 EllRay Jakes is Not a Chicken by Sally Warner (and sequels). When EllRay is getting picked on at school, every way he tries to deal with it gets him in trouble! Can he be good for one whole week to earn a trip to Disneyland? 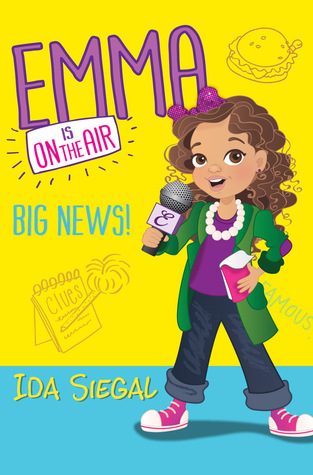 Emma is on the Air: Big News by Ida Siegal (Emma is On the Air series). When Emma sees a glamorous news reporter on TV, she knows that's what she wants to do. But first, she'll need some news. When a kid finds a worm in his hamburger from the school cafeteria, Emma is right there to report it. 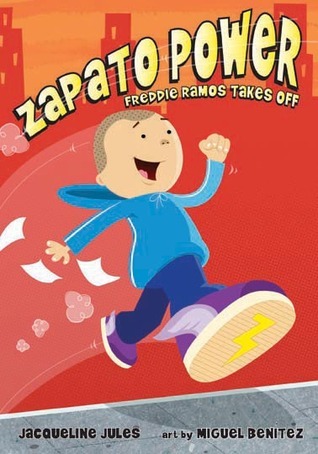 Freddie Ramos Takes Off by Jacqueline Jules (Zapato Power series). Freddie finds a pair of new shoes delivered to his apartment and when he puts them on he can run super fast. Will his new power help him be a hero like his dad? 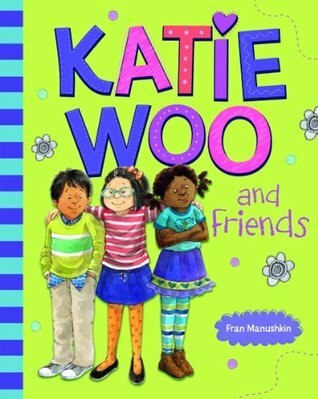 Katie Woo series by Fran Manushkin. 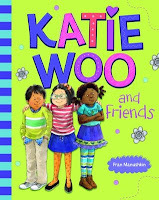 Katie has adventures with her friends in the many books in this series. 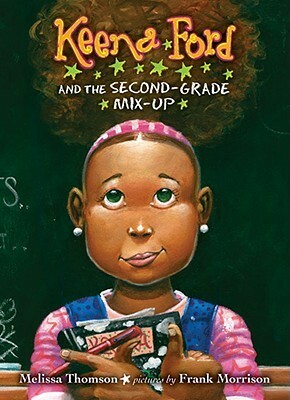 Keena Ford and the Second Grade Mixup by Melissa Thomson (and sequels). Keena Ford always seems to be finding trouble, even though she's never looking for it. When a birthday mixup happens in her new second grade class, can Keena make things right? 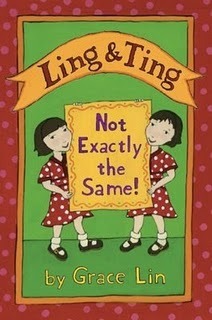 Ling and Ting: Not Exactly the Same by Grace Lin (and sequels). Ling and Ting are twins and they share a lot of things in common, but they are NOT exactly the same! 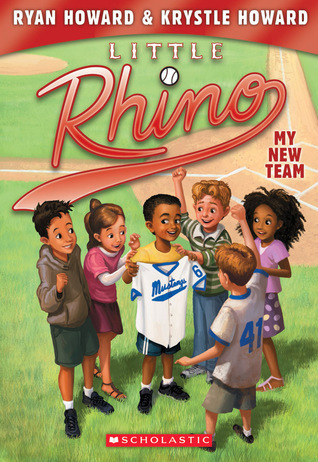 Little Rhino: My New Team by Ryan Howard and Krystle Howard (Little Rhino series). Little Rhino is so excited to join his first baseball team, but will a team bully ruin it for him? 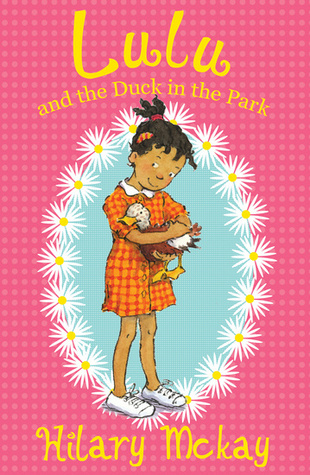 Lulu and the Duck in the Park by Hilary McKay (and sequels). Everyone can tell you that Lulu LOVES animals, but her teacher does not. When Lulu rescues an abandoned duck egg from the park, she's worried that it might choose to hatch in the middle of class, getting Lulu into BIG TROUBLE. 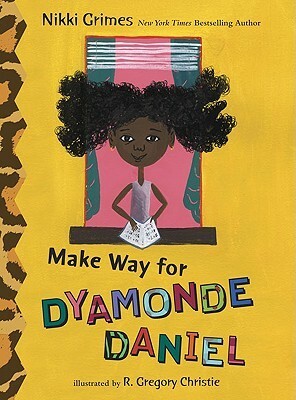 Make Way for Dyamonde Daniel by Nikki Grimes (and sequels). Dyamonde Daniel is the new kid at school and she really wants to make a best friend. But the only other kid who doesn't already have a best friend happens to be the grumpiest person Dyamonde has ever met. 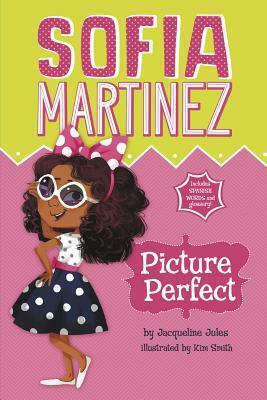 Sofia Martinez: Picture Perfect by Jacqueline Jules (Sofia Martinez series). Sofia is sick of blending in with her two older sisters. What can she do to make herself stand out? This very beginning chapter book series includes some Spanish words, which are defined in the back of the book. 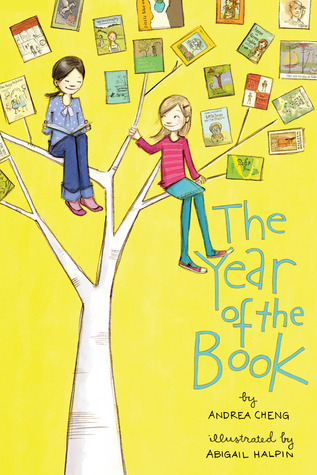 The Year of the Book by Andrea Cheng (and sequels). Anna Wang is having a hard year. Her friends are suddenly friends with a kind of mean kid in their class and most of the time Anna would rather read her new library book than hang out with them. 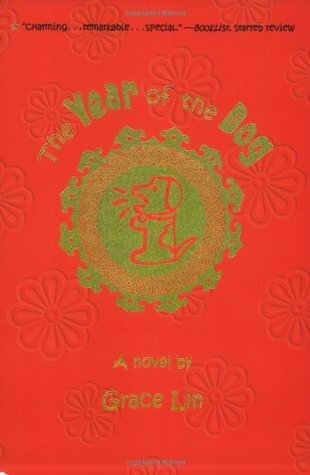 The Year of the Dog by Grace Lin (and sequels). The Year of the Dog is a good year for finding yourself, and that is exactly what Pacy Lin sets out to do. But where to start? This list is a start, but I would love to hear what other diverse chapter books you would suggest. Please leave titles and series in the comments!